The well known American camp song from Czechoslovakia tells a delightful century-old story of female empowerment and suffrage. A young boy's head is plainly seen. 'Tis Ifca's castle spires instead. …a young boy's head is "plainly" seen peeking over Ifca's (YWCA's) borrowed castle in P&rcaron;erov-nad-Labem, Czech Republic. The song was sung every day at summer camp, so it's plainly the reason that this c.1930 photo is taken at just the right angle so the tower looks maximally like a boy with a pointy cap. The melody is accurately described as "Traditional Czechoslovakian" (or Czech or Slovak or Moravian--all regions of the brief republic of Czechoslovakia). The English lyrics have no equivalent in the Czech or Slovak languages. These English lyrics are not a translation. The English verses are from an American YWCA summer camp created for Czech girls and young women near Prague in 1920. The refrain by itself (swiflty flowing water) is sort of a translation of the original. "Ifca" is the Americanized Czech pronunciation of the abbreviation, YWCA (but it was originally transcribed as "Ivka" in 1919, then Ifka, then Ifca). 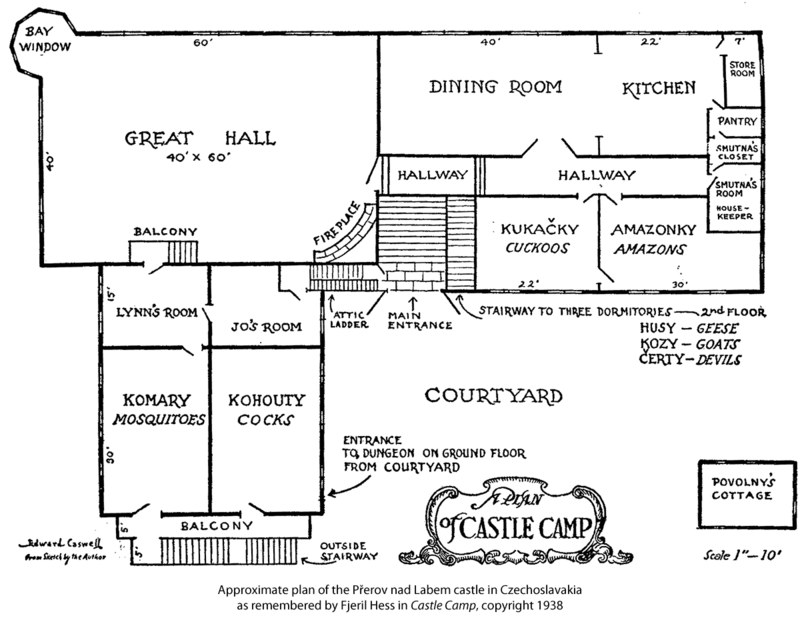 The summer camp was held in one of the castles that got emptied when the Austro-Hungarian Empire fell in 1918. So the song is plainly not a "Czechoslovakian folk song" as often stated even though the tune is Czechoslovakian. When first published in 1926, it was titled, "Czecho-Slovakia Camp Song," which seems like an accurate description. An unusual young woman from Nebraska with an odd name, Fjeril Hess, is at the center of it all. There are only a couple of careful recordings of the song on the Web in 2019--a fact that would no doubt delight Fjeril, because it's a carefree song. There are dozens of Elementary and Middle School concert renditions There is only one YouTube video in early 2019 of adults singing the song for an adult audience (albeit in a concert for Children of All Ages): youtube.com/watch?v=qCrg8N2FG8A. A young American in post-war Prague, 1919. The American YWCA was invited by the president of the newly-formed republic of Czechoslovakia—the beloved Tomáš Garrigue Masaryk—to help with coordinating post-war relief efforts in 1919. It was called a survey of social conditions in Prague, but it was also about making the new republic work. (See the fascinating description in "The Business of Being a Woman in Czecho-Slovakia" in The Woman Citizen—A Weekly Chronicle of Progress, Vol. V, Number 25, November 20, 1920 p. 680.) It was an exciting time for women. Czechoslovakia was founded on equal rights (See the Czechoslovakian Declaration of Independence, Oct. 28, 1918) and had universal suffrage in their 1920 Constitution six months before the United States. The women had been subjects of a repressive regime for 100 years and had no experience with democracy and liberty. "Empowering Women" is still a central mission of the YWCA and the help was eagerly welcomed by the people. Fjeril Hess was one of the YWCA "secretaries" who went to Prague in 1919. She was born 1892 in Omaha, Nebraska. She graduated from the Illinois Women's College (now MacMurray College) in 1915. She worked for a while on a ranch in Nevada (her ease with horses would help her gain respect in Prague) and then work with immigrant families in Pittsburgh and later in New York with the YWCA--a very active and progressive organization in the days before women's suffrage in the United States. At first, she worked out of the Prague Palace, the largest castle in the world (with several towers, but none that rises above a plain). She was an eager writer (a cited reason for divorce in 1930!). Her first article sent home to the U.S. was "A Palaced 'Ivka'" in The Survey: Social, Charitable, Civic, Vol. XLIII, No. 9, December 27, 1919, p. 311. The Prague Palace was not the "Ifca's Castle" of the song. 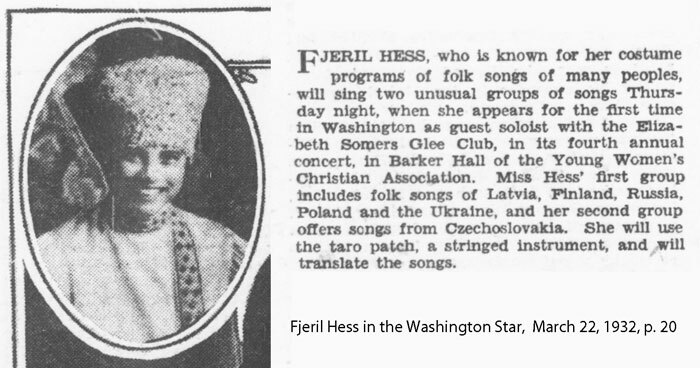 It would be a year later at a different castle that Fjeril Hess would write down the lyrics to the song, but we can see that "Ivka" is her first transliteration of the Czech pronunciation of "YWCA." This confirms that the "C" should be pronounced as "K" and not "TS" as it would be in a usual Czech word. Ivka is a nickname for Iva, so "A Palaced 'Ivka'" evoked the YWCA as an restless princess. Ivka is not a recognized name in America and it's harder to pronounce than "Ifca" for English speakers. Owing to the fact that the letter "Y" in Czech has the sound of "I", and "W" the sound of "V", to the Czech eye the letters Y.W.C.A. spell "Ivka," by which name the Y.W. is always known, just as the Y.M.C.A. is called "Imka." Incidentally, the YMCA is still (2019) affectionately called "Imka" in eastern Europe, as an internet search of "YMCA Imka" will show. Latvia's YMCA uses imka.lv for an email address domain name as a salient example. The Summer Camp on the Labe, 1920. 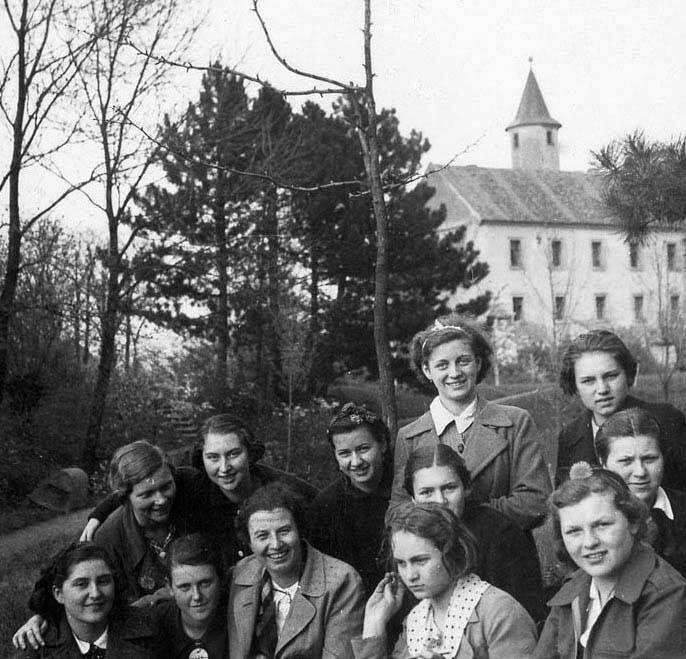 The YWCA started a summer camp for girls and young women in the small town of P&rcaron;erov-nad-Labem in 1920 (Not to be confused with another town simply called P&rcaron;erov"—Nad Labem" means "on-the-Labe.") It's 20 miles east of Prague. The song lyrics got written during the initial springtime visit to the castle, even before the summer camp started. Fjeril Hess describes her adventures in Czechoslovakia in a trilogy she finished in 1938. The narrator is "Lynn Garrow." In the afterword, Hess explains, "The experiences … are real and everything happened to a group of young Americans of which I was a member, very much as I have written in these three books." The narrow path into which the girls plunged upon leaving the village was already bordered with high, lush meadow grass. 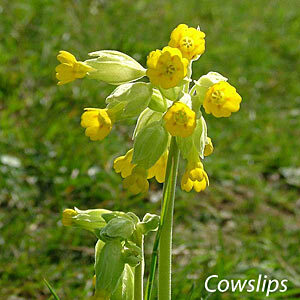 The wide emerald garment of spring that flowed back from both sides of the path was dotted thickly with gold buttons--cowslips in endless numbers. Beyond lay the woods; a thick cool haven they would be when her campers came this way for their daily swim, Lynn thought, as she paused to look back at the village. Above the thick cluster of trees that made this village so pleasant a contrast to many that were bare and sunbaked, the gray stone tower of the castle rose, topped by a shallow, conical cap of slate. "Our castle tower looks like the head of that boy, which poked up through the long meadow grass where he lay hidden to watch us go past," said Olga, pausing beside Lynn. "Only our boy has a gray head." Olga hummed the tune that the girls had been singing as they as they marched along the path. Delightedly she clapped her hands and sang a line or two as if hunting for words. In no time at all the rest of the girls were singing Olga's words to the marching song; and before the day was over, the castle camp's first tradition, to cross the meadow of gold and green singing this song and no other, was established. So, we don't know the exact authorship of the lyrics. Hess implies with her fictionalized account that it was one of the Czech women from Prague ("Olga") who got the song started. The book, Castle Camp, does not mention the other verses. Two of the lines are used as chapter titles in the book, "Above a Plain of Gold and Green" and "Swiftly Flowing Water." The song was first published in the 1926 Song Book of the Y.W.C.A. The song was "arranged" by Fjeril Hess and Lilian Jackson. Since Lilian Jackson spent her time abroad in Romania, it's likely that she created the piano arrangement and was not involved with the lyrics. This is from the first summer camp in Central Europe and is really a description of its nine hundred-year-old castle set in the midst of a green meadow full of forgetmenots and cowslips, through which the girls used to march on their way to the river Elbe (Labe) to swim. Ifca means Y.W.C.A. It's a vague explanation. It doesn't mention the mysterious boy's head and it doesn't explain why Ifca means YWCA. It does, however, give the needed clues to track down the whole story on the Internet and in books. Fjeril Hess calls the tune a "Czech Marching Song." Most sources describe Išla Marina do Cintorína as a "drinking song," but that would be awkward for a YWCA song in the American Prohibition Era. Šuhaj&ccaron;ek za ňou s holbi&ccaron;kou vína. A young man [following] after her with a mug of wine. Huja, huja, hujajá, te&ccaron;e voda z hor. Huja, huja, huja-ja, the water flows from the mountains. Budeš &ccaron;ervená ako malina. You'll be as red as the raspberry. Mala bych potom srdca bolenia. Because then my heart would ache. This set of Slovak lyrics and translation is from the discussion of Ifca's Castle on mudcat.org that has been going since 2001. Guests are welcome to leave comments in that thread. Here's an over-simplified pronunciation guide. Czech and Slovak vowels are just like Spanish and Italian. An accent indicates a long vowel, meaning it's the same sound, only longer. The accent does not indicate an accented syllable as it would in Spanish. Consonants are mostly that same as in English, although "c" is always "ts" and "w" is found only in foreign words and is pronounced "v" as it is in neighboring Germany. My theory is that the "W" in YWCA makes it look like a foreign word and that's why "ca" is pronounced "ka" instead of "tsa." (Native Czech/Slovak speakers, please help here.) The caron or hachek (spelled ha&ccaron;ek with a hachek over the C) makes the consonant "soft," which is usually like adding an "h" for English speakers. So, &ccaron; is "tsh," š is "sh," and &zcaron; is "zh." The exception is &rcaron;, as in P&rcaron;erov. That letter appears only in Czech and not in Slovak. Supposedly, the sound is not used in any language other than Czech. It's something like an "zhr" and there is no hope for native English speakers, so don't risk hurting yourself. An "r" sound is probably close enough for most communication. Regarding the difference between Slovak and Czech, they are very similar and "sympathetic interlocutors" can probably communicate. The 1920 Czechoslavakia Constitution declared that Czechoslovakian was a language with two dialects, Czech and Slovak. But, no. Constitutions may be powerful, but they can't compete with language. The hachek/caron matters a lot with Išla Marina, because there's a Spanish island called Isla Marina in the Mediterranean off of Alicante. There are no songs about that isle. In Czech and Slovak, išla is a conjugation of "to go"—nothing to do with islands. Authentic versions of the song tend to sound like a polka. That's no coincidence, because Prague is the historic capital of Bohemia, where the polka was invented. Huya, Huya, Huya-ya is just a bunch of nonsense syllables. It a bit like Tra La La. If an Eastern European ever asks you to translate "Tra La La" or "E-I-E-I-O," you could suggest, "Huya, Huya-ya." The song has been printed many times since 1926. 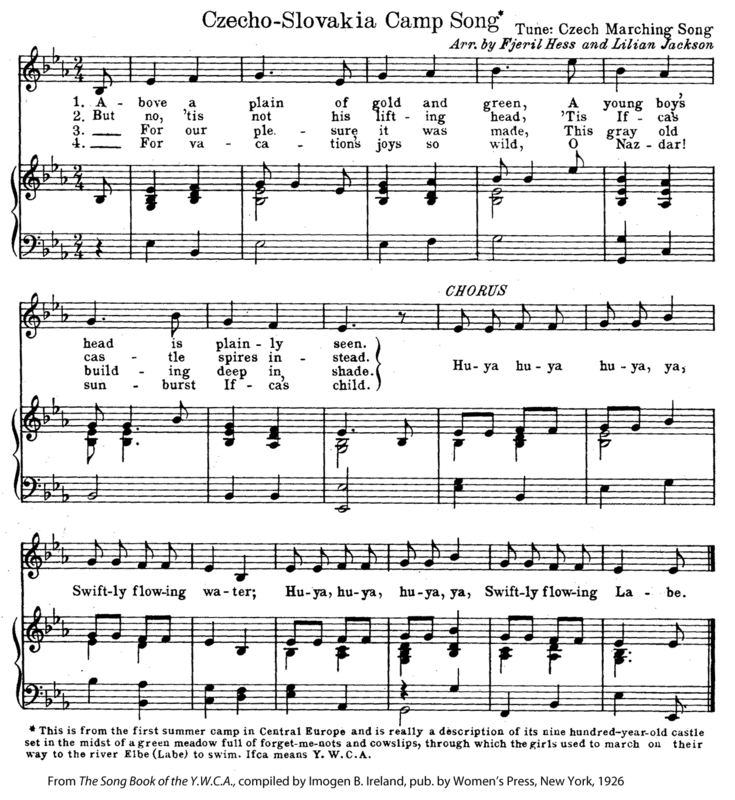 It was included in the YWCA's pocket song book, Sing Along the Way, in 1943. That book was reprinted and updated through 1965. Other publications with the song don't mention the YWCA at all and usually call it a folk song. (The YWCA could bring lawsuits against those who published the copyrighted lyrics anytime before 2021, the 95-year limit. This web page also violates the copyright protection granted to the lyrics of "Above a Plain." I don't think any Young Christian Woman is inclined to object to the spread of these lyrics.) The lyrics have also gone through some minor changes, as happens with folk songs. Fjeril Hess was active with the Girl Scouts. That might explain how the song quickly got into the Girl Scouts repertoire. It's included in 1963 on the 45-RPM record, Folk Songs for Girl Scouts to Sing. In the October 1963 issue of Girl Scout Leader page 30, the included songs are described as "ten long-standing favorites. Words and music are found in The Ditty Bag,…." In that songbook, The Ditty Bag, compiled 1946 by Janet E. Tobitt, it is titled, "Swiftly Flowing Labe," just as it is titled on the record. In the Czech Republic and Slovakia, the song is still very popular in its orignial form. Try this YouTube search for a variety of performances. One popular version is by the Slovak folk group, Senzus. It's raucus, which makes sense because it's a drinking song in the original Czech or Slovak languages. In the U.S., the song is sung with the Czech lyrics at Waldorf schools. Their version is available on their Waldorf School Songs website. She had no children, but was briefly married in 1927 to Max von Steeger Watson. A newspaper article in May 1930 noted, "Max V. Watson of Santa Clara county has been granted a divorce from his wife, Mrs. Fjeril Hess Watson, well known writer and lecturer, on grounds of Incompatibility. Watson alleged that Mrs. Watson preferred a literary and speaking career to marriage. His suit was uncontested." Her papers are stored at the Lilly Library of the University of Indiana at Bloomington. They are available for viewing without reservation. They include a journal kept in Czechoslovakia 1919-1921 and some poetry. Those papers could uncover some details about the song. If you, kind reader, get a chance to visit, please share your discoveries. She wrote a letter to her college alumnae magazine, The College Greetings, in August 1920. The letter is available at the Internet Archive. It includes a wealth of background information. Note that she refers to the Czech castle as "Castle of Devín ." That's her name for the borrowed castle. It should not be confused with Devín Castle in Bratislava, Slovakia. I learned this mysterious song from Charity Bailey. I've been researching her life and wondered where she got this song. It turns out that she had nothing to do with it, but a lot of people have been wondering about this song, so I kept at it. I was delighted to find the YWCA connection because my mother, Julia G. Axtell (1924-2012), was president of the YWCA in White Plains, NY in the 1970s. I first posted this web page on Jan. 2, 2019. I've been polishing and expanding it. Importantly, I don't really know anything about Czech and Slovak and I'm sure I've got errors here in my early attempt at documenting this intriguing song. Feel free to email me at dan19@danaxtell.com with comments and information and I'll include as much as I can. I have a spare copy of Castle Camp if anyone is looking for one.